Kerryanne Leroux, an EERC senior chemical engineer and oilfield operations team lead, is heading up research on a private-public partnership involving carbon-capture techniques at a Richardton, N.D.-based ethanol plant. A private industry partnership that underscores UND’s commitment to practical, goal-oriented collaborations is paving new paths in carbon capture and storage (CCUS) research. CCUS technology captures and permanently stores carbon dioxide emissions. The research, led by UND’s Energy & Environmental Research Center (EERC), a worldwide leader in the development of solutions to energy and environmental challenges, and North Dakota ethanol producer Red Trail Energy LLC, has been awarded $835,000 by the North Dakota Industrial Commission’s Renewable Energy Program to support CCUS integration at a North Dakota ethanol facility to reduce its carbon footprint. “Using CCUS to reduce the carbon intensity of North Dakota ethanol demonstrates the commitment of the industry to environmental stewardship as well as contributes to the long-term sustainability of ethanol production in the state,” said Gerald Bachmeier, Red Trail Energy CEO. This research aims to determine the technical and economic parameters of installing and operating a commercial CCUS system at Red Trail’s ethanol manufacturing facility near Richardton, N.D. The Broom Creek Formation, located approximately 6,400 feet below Red Trail’s Richardton facility, will be considered the main target for potential geologic storage of the carbon dioxide. According to previous studies conducted by the EERC, this formation is expected to provide ideal storage. 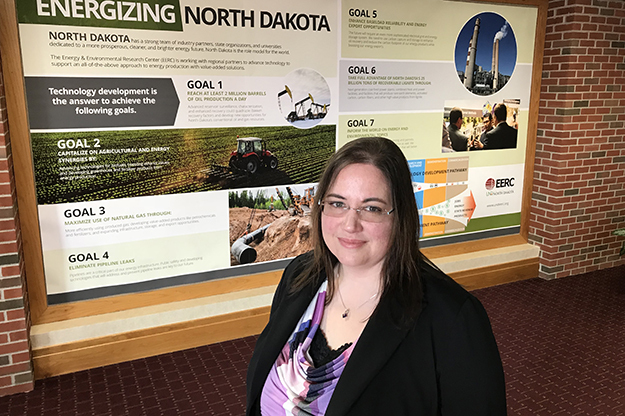 “North Dakota ethanol producers are well-situated to take advantage of these low-carbon fuel incentives because there is significant production capacity and ideal geology for carbon storage,” said project manager Kerryanne Leroux, an EERC senior chemical engineer and oilfield operations team lead. “The study will provide local ethanol producers a detailed assessment of the commercial feasibility of utilizing CCUS technology within their production operations,” Leroux continued. 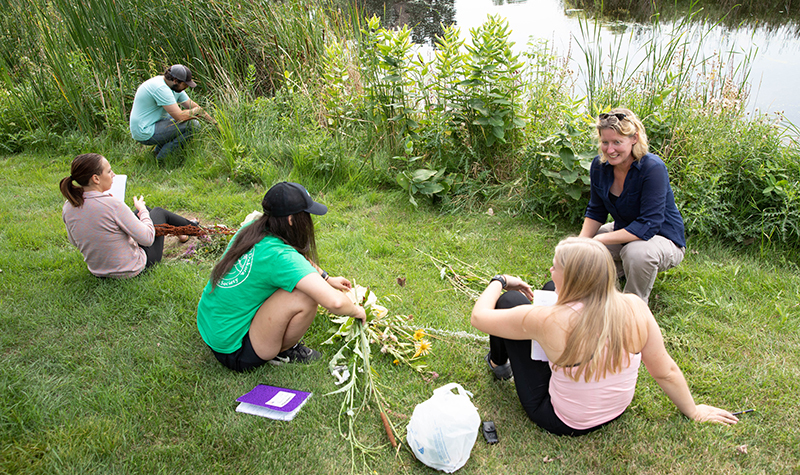 Leroux was referring to the UND Strategic Plan’s Grand Challenges initiative, which entails five major focus areas that guide UND’s research activity. One of the five is to promote energy security and environmental sustainability. The project at Red Trail’s Richardton facility is looking at capturing carbon dioxide generated from the fermentation process of ethanol production and injecting it underground, Leroux explained. Because of how it’s produced, this carbon dioxide stream is near-pure and can be captured for underground storage with minimal processing. 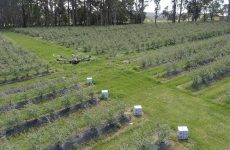 Alternative uses could also evolve to enhance the recovery of petroleum that’s currently locked up out of reach of conventional extraction technology or in food-grade applications, such as for the soft drink industry. More broadly, the project promotes North Dakota renewable energy production. With the support of the Industrial Commission and U.S. Department of Energy, Red Trail Energy and the EERC are investigating CCUS technology as a way to reduce the carbon intensity of ethanol, which would create additional value for ethanol in low-carbon fuel markets. The current phase of the project builds on previous EERC work, which looked at the potential for integrating CCUS with ethanol production. Using the Richardton ethanol facility as a case study, EERC successfully demonstrated both technical and economic feasibility of CCUS technology with ethanol production. 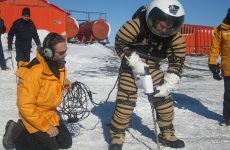 Other technical partners in this research include Trimeric Corp., Schlumberger Carbon Services, and the Computer Modeling Group Ltd.
Leroux notes that nearly three dozen people are working on this project.